Music Honors: Introducing The High School & Under Noms. A Closer Look At The 2019 Central Track Music Honors Best High School And Under Act Nominees, Who All Have Us Stoked For The Dallas Music Scene’s Future. At some point, most every musician nominated in our first-ever Central Track Music Honors ballot attended high school somewhere. And as we’re dealing with the best-of-the-best musicians around town in this deal, it’s fair to point out that many of the acts up for Top Honors spent some time at Dallas arts magnet Booker T. Washington High School for the Performing & Visual Arts. But while it’s not unusual for us to be familiar with so many of that school’s alumni, 2018 found us becoming aware of more and more of these kids — and ones from other schools too — while they were still spending their days in class. Sure, there have always been a few high school bands on our radar in any given year, but 2018 saw us discovering them in numbers unparalleled by any year in our memory. As we pointed out a few weeks back, Frankie Leonie, Charlie J. Memphis, Rosegarden Funeral Party, Acid Carousel, Parker Twomey, Not Ur Girlfrenz, Ting Tang Tina, Tippy Balady, Remy Reilly, The Robotix, Fishing in Japan, Jack Barksdale and Mr. Breakfast are just a handful of the under-21 crowd that turned our heads in recent months. As of this past Friday, we’re adding second-generation Dallas musician Oscar DeLaughter to that mix, too. It’s not just the Central Track staff that’s been impressed of late, either. These young acts are being quickly embraced by the more seasoned musicians around town — players, we’d hazard a guess, that are learning just as much from these bright young minds as they’re teaching. All of which is to say that the future of the North Texas music scene is, perhaps, brighter than it has ever been. To that end, we figured now would be a good time to get to know some of these young ‘uns a bit better. Don’t forget to vote for your favorite, either! To recap some of what we’ve previously said about Frankie Leonie: In the past year-or-so, a dozen or so musicians from area high schools have become mainstays on bills with players that have been at it since before these newcomers were born. 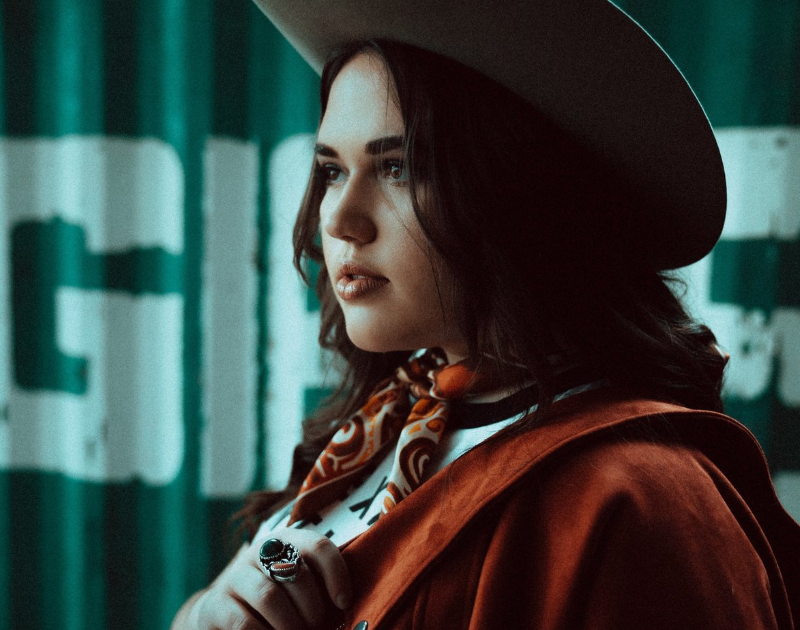 Many of these also happen to ply their crafts in the Americana scene, like the 16-year-old Leonie, who has already been the subject of a Dallas Observer cover story, and headed out on a Texas run with Margo Price and Lukas Nelson last year. With vocal control and command of language beyond her years, it’s easy to forget she only recently started driving. The pro-level sounds tracked by producer Beau Bedford and her select backing players made up of Texas Gentlemen further propel that notion. Much like Leonie, the 18-year-old Booker T. Washington High School for the Performing and Visual Arts student Twomey spends his free hours assisting at Modern Electric Sound Recorders. And also like Leonie, he’s also gotten to work with many notable musicians already in his still budding career. As we’ve pointed out previously, his 2017 debut LP was produced by ex-Centro-matic frontman Will Johnson and featured players like Britton Beisenherz (Milton Mapes), Chad Stockslager (Pedigo’s Magic Pilsner), Becki Howard (Bethan), Jon Dee Graham (True Believers), Ian Moore and Ricky Ray Jackson (Hayes Carll) among others. Even with all those bells and whistles stripped away, Twomey still shines all on his own. Take, for example, the solo acoustic track of his that we’ve shared above, wherein Parker shows off his raw talent, his smooth and developed pipes, and his ability to write more accurately about love and pain than any teenager has the right to. In a recent interview bemoaning the bleak future of rock music, Paul McCartney lamented how so few kids are picking up guitars these days, instead favoring electronic devices and pop music. But in interviews of their own, the preteen pop-punk trio Not Ur Girlfrenz says they’re making it their personal mission to inspire the kids in America to start rocking out. Managed and produced by Bowling For Soup frontman Jaret Reddick, these young women have already spent a summer on the last-ever Warped Tour and flown over seas to open a European tour for their manager’s own “High School Never Ends” outfit. She’s a terrific vocalist — don’t get me wrong — but the 15-year-old’s biggest asset is her ability to put pen to paper and turn a meaningful phrase. Her song “26,” as we’ve previously pointed out, is about the “26 letters of the alphabet and the way our word choices affect others without our realizing it.” Then there’s the playful way she compares having a crush to being infected by a computer virus that no software can prevent on “Virus.” Let’s face it: Coming up with meaningful things to say in your songs is something that usually requires more than one-and-a-half decades of life experience. And yet here Reilly is, wowing us just the same. The first music video we saw from these guys last summer was captioned thusly: “We are high schoolers. This video is not great. We hope you enjoy.” Hmmm. While the boys may not know a lot about things like paying taxes, voting or cash-out refinancing, they sure do appear well-versed in the art of sandbagging. Six months into the band’s existence, the indie-rockers already found themselves opening the big Buffalo Tree Festival alongside acts like Polyphonic Spree to raise money for Beto O’Rourke. “It’s the biggest thing we’ve ever done,” they said at the time. We get the feeling, though, that it’ll be far from the biggest thing they’ll ever do. Ting Tang Tina is fronted by Toadies frontman Vaden Lewis’ daughter, Ruby Lewis. But nepotism has little to do with the buzz garnered for this four-piece’s pretty stellar debut EP, Love is Trippy. Regarding that release, we once said: “[It] possesses a sophisticated palate that draws inspiration from the likes of Aquadolls, Best Coast and early Radiohead. The seven tracks on this release range from garage rockers to swelling indie-pop tunes, and they all boast a vulnerable, heart-on-your-sleeve sensibility that instantly helps the listener connect to it.” We still sstand by that, too. Previous ArticleMusic Honors: Breaking Down The Best Album Noms.